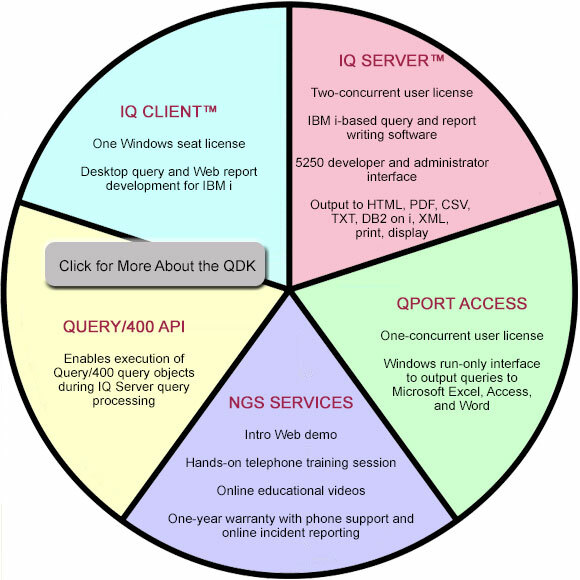 comprehensive IBM i query, reporting, and Web reporting solution. ELIGIBILITY: New NGS customers only. Limit: one SDK license per customer. Must remit signed license agreement with $1,250 fee, which includes one year of software maintenance. NGS may refuse any request without explanation and withdraw this offer at any time without notice. (800) 824-1220.